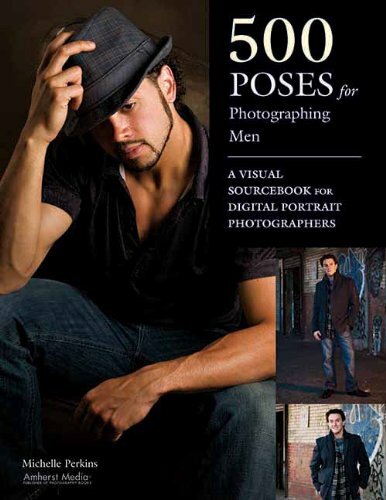 Offering a variety of options for refining poses and spicing up portrait sessions, this visual sourcebook addresses the problems that photographers often run into when taking portraits of men, whether the pictures are for male fashion shoots, weddings, family shots, or individual portraits. For ease of use, this reference groups sample images according to how much of the subject is included in the frame?from head-and-shoulders shots to full-length portraits. Containing contemporary images from leading professionals, this indispensable manual explains posing fundamentals as well as how to offset the fears, concerns, and insecurities that men can bring to a portrait session. Michelle Perkins is a professional photographer, a designer, and a writer. Her images and articles have appeared in After Capture, PC Photo, and Rangefinder magazines. She is the author of numerous books, including 500 Poses for Photographing Women, Beginner’s Guide to Adobe Photoshop, and Digital Portrait Photography 101. She lives in Buffalo, New York.